All Holliday homes currently listed for sale in Holliday as of 04/25/2019 are shown below. You can change the search criteria at any time by pressing the 'Change Search' button below. "Call 214-970-3515 for showing instructions. Stop looking! 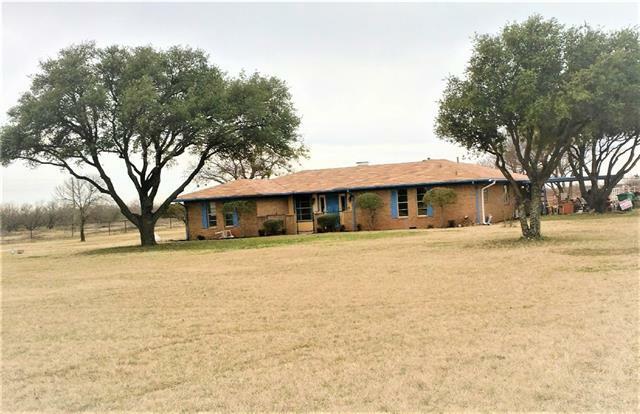 You ll love this charming, 3-bedroom, 2.5 bath home with spectacular country views of eight acres of land that accompanies this home. This 3 bedroom, 2 bathroom home with 2356 sq ft of generous space to move about. The animals will be satisfied in their four stall barn equipped with water, electricity, plenty of storage in the two storage buildings. While you entertain in the back yard in the above ground pool and hot tub. Wake up each "